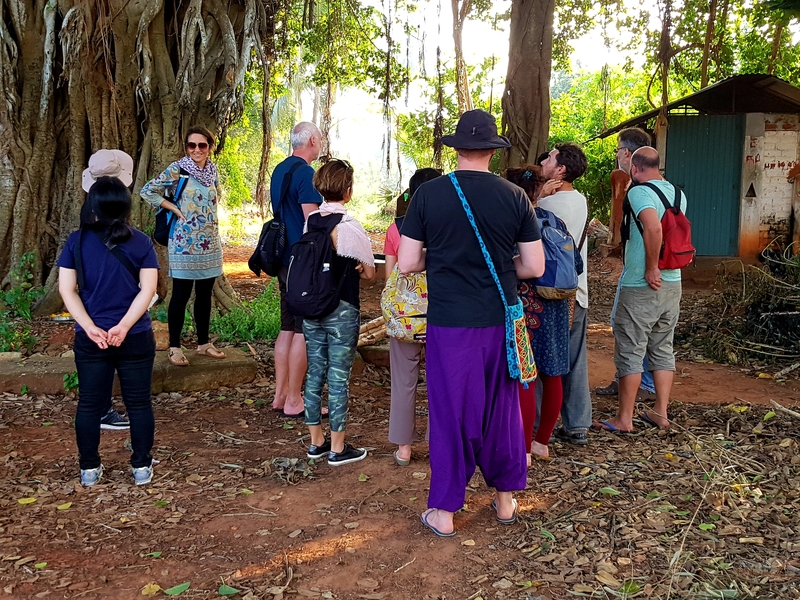 The ‘Experience Auroville’ program that is organized by the JOY Community is for people (and groups) who want to know more about Auroville. 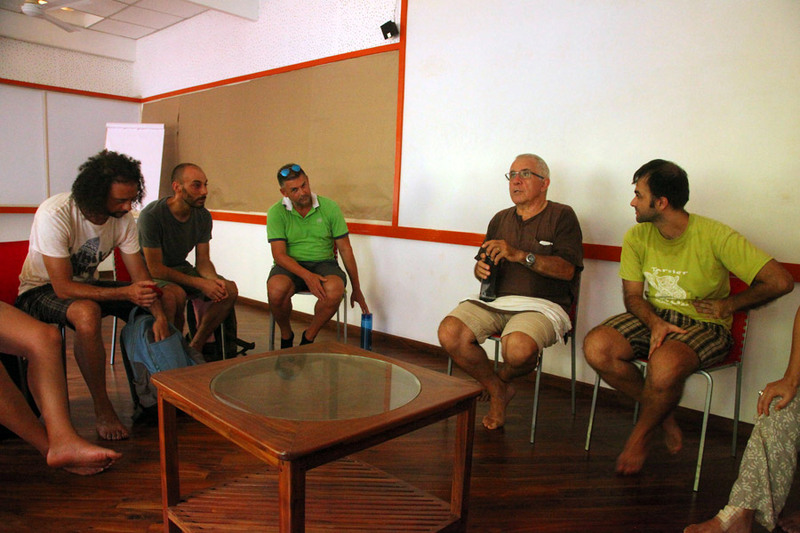 The program will help interested people to get a better understanding what Auroville is and aspires to be. 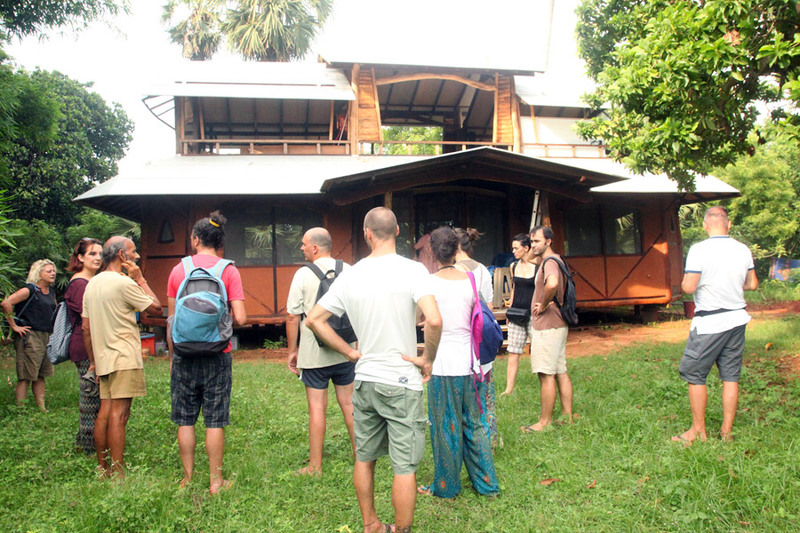 Participants will get an insight into Auroville’s inner workings and have hands-on experiences with various aspects of Auroville. and an optional in-dept extension of 1 to 3 weeks (at your choice), during which you can participate to all Joy’s activities and deepen a field of action at your choice (organic farming, alternative construction, etc.) through a hands-on fun experience. 09.00 – 09.15: Simple breakfast. 09.15 – 10.45: Reflections and sharings on Gita’s commentaries by Sri Aurobindo. 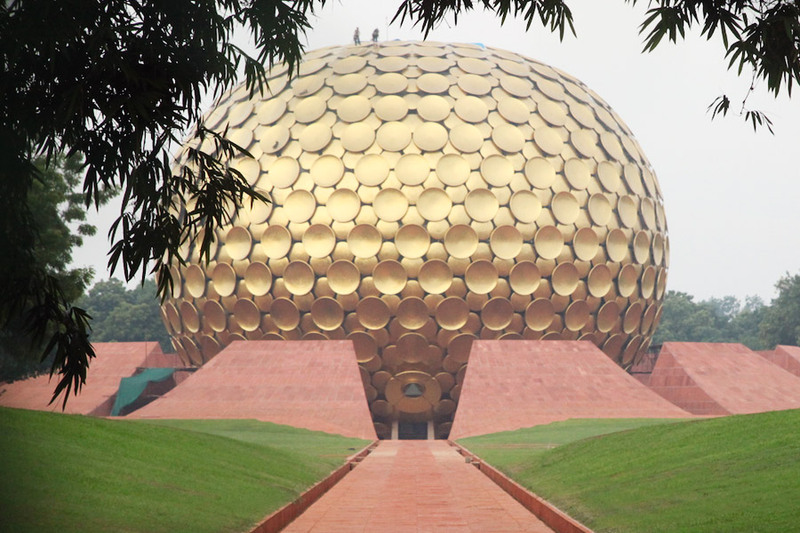 11.00 – 12.15: Visit of Unity Pavillion and discussions on volounteering in Auroville with Sara. 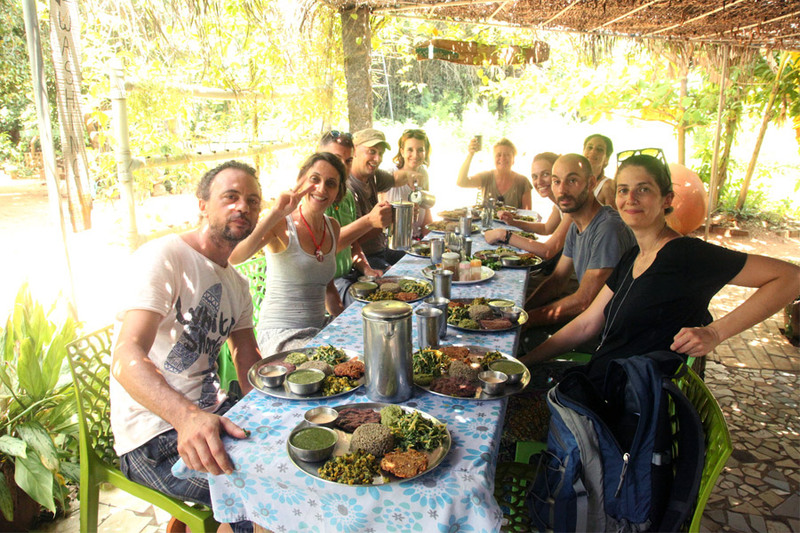 12.30 – 13.45: Italian lunch break in Joy Community. 14:15 – 15:45: Visit of Aurorchard and discussions on organic farming with Christian. 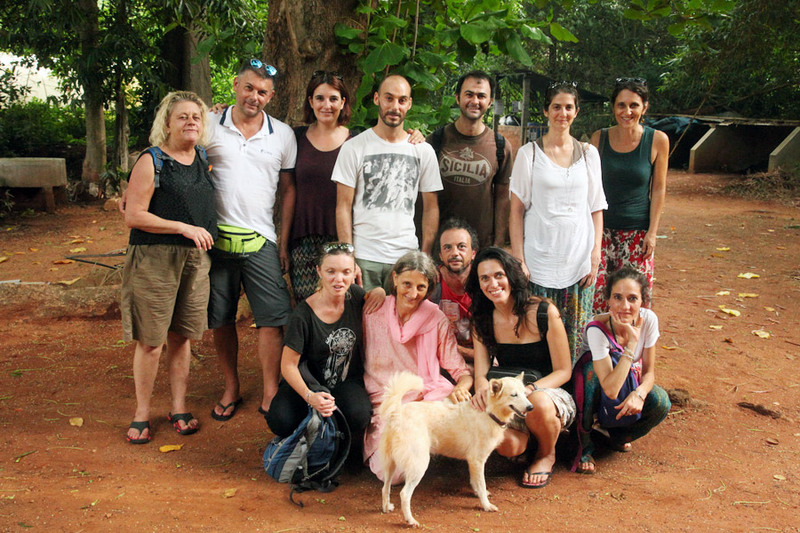 16.00 – 17.15: Visit of Irumbai Temple and local stories of Indian religion with Ruba. 08.00 – 09.00: Hatha yoga with Bala. 09.0 – 09.15: Simple breakfast. 09.15 – 10.45: Reflections and sharing on the Synthesis of Yoga by Sri Aurobindo. 11.00 – 12.15: Visit of Botanical Gardens and discussion regarding forest gardens restoration with Biggie. 12.30 – 13.45: Grilled lunch break in Joy Community. 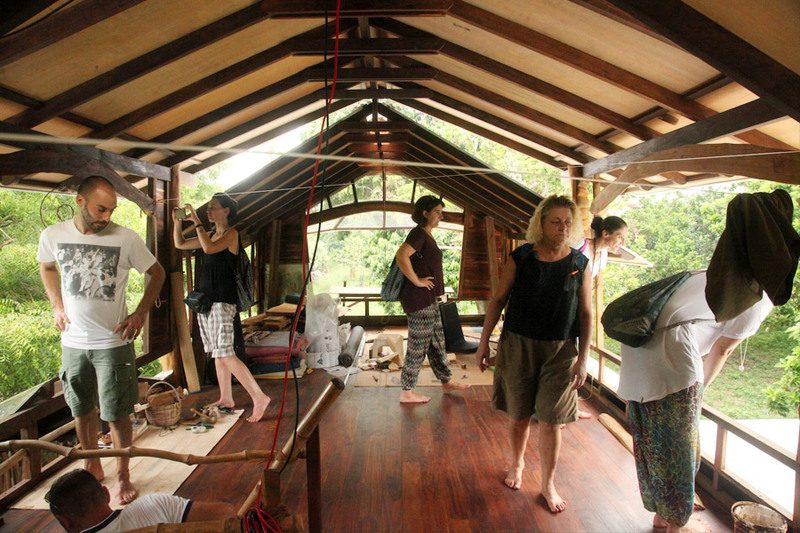 14:00 – 15:00: Hands-on with eco construction in Sacred Grove. 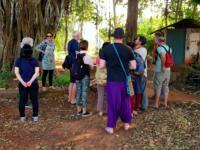 15.00 – 15.45: Visit of Sacred Groves mud building and discussions on alternative housing in Auroville. 16.15 – 17.30: Visit of Ecofemme and discussions on social entrepreneurship with Jessasmin. 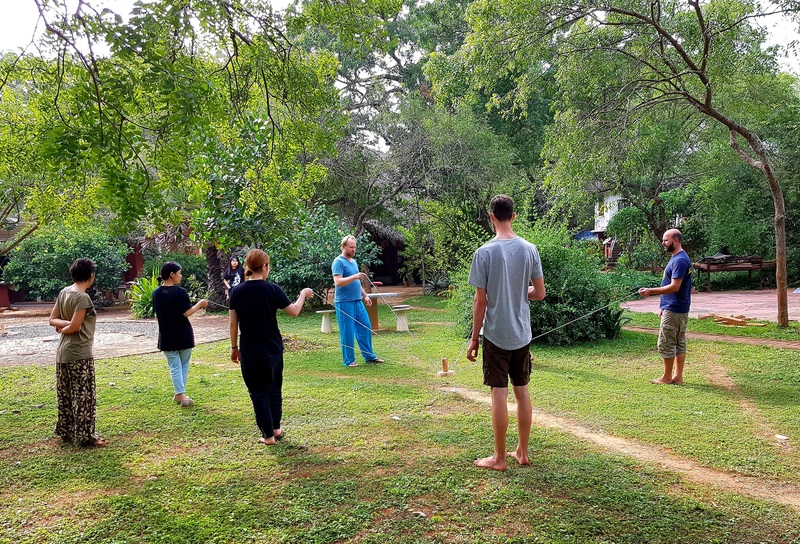 08.00 – 09.00: Qi Gong with Lhamo. 09.15 – 10.45: Reflections and sharing on the Life Divine quotations by Sri Aurobindo. 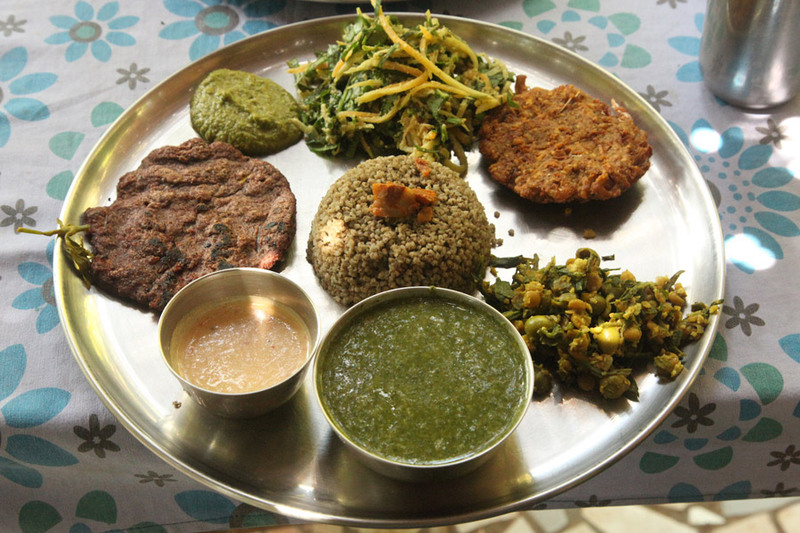 12.30 – 13.45: Indian lunch break in Joy Community. 15.30 – 17.15: Visit of TLC school and discussions on alternative education. 08.00 – 09.00: Conscious yoga and pranayama with Helena. 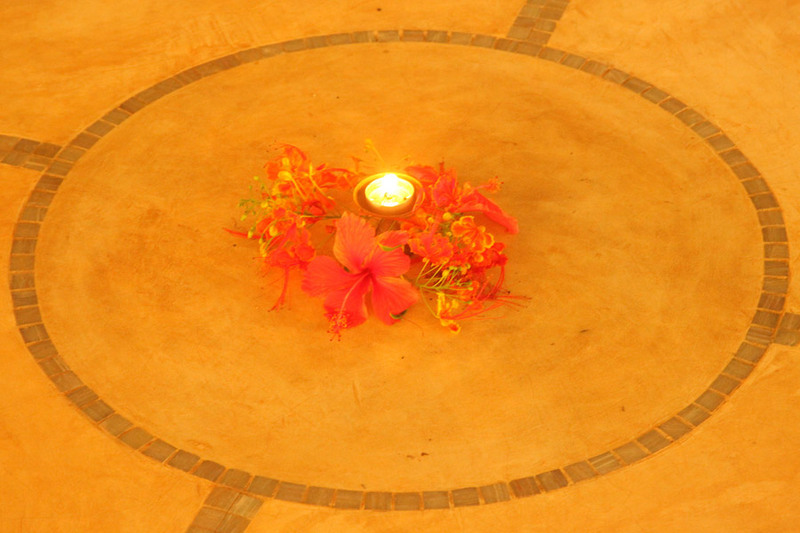 09.15 – 10.45: Reflections and sharing on Mother’s thoughts regarding Auroville. 10.45 – 12.15: Team cooking. 12.45 – 14.00: Potluck at Helena’s in Quiet. 14.00 – 15.15: Team building game: Octagon. 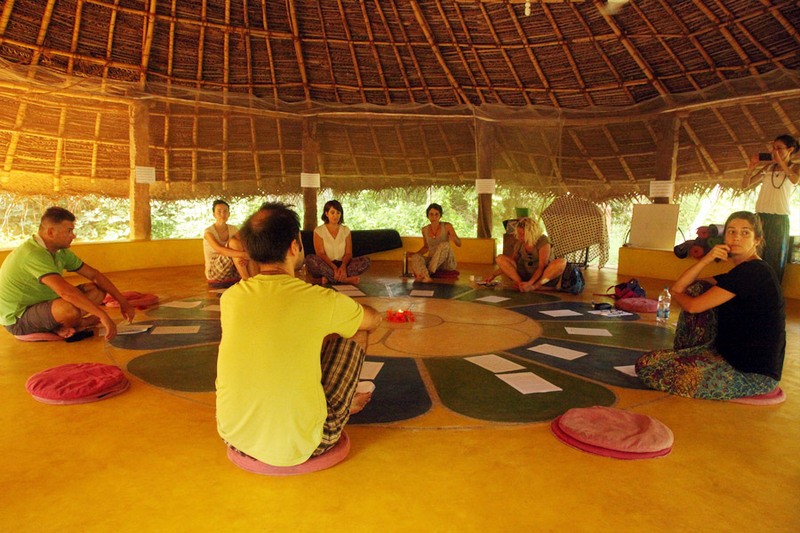 Please note: The schedule of the ‘Experience Auroville’ 4-day program is created uniquely every time. 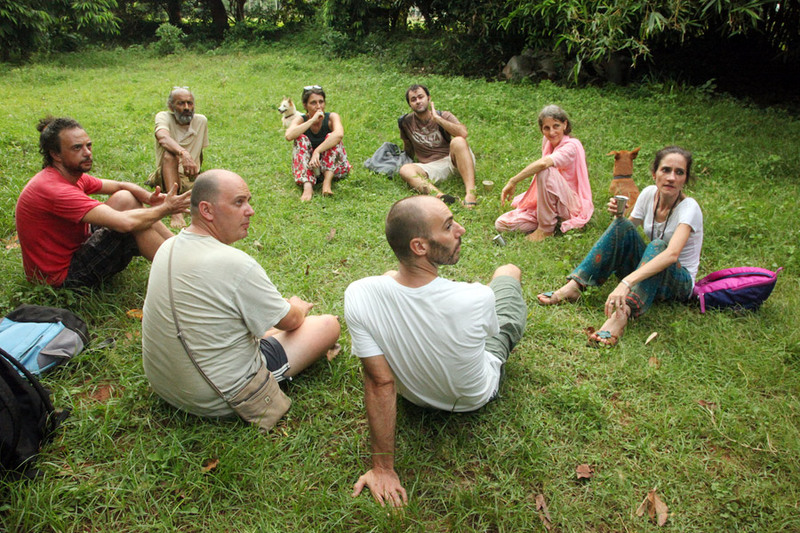 The purpose of the program is to offer the participants a unique, precious and insightful ‘Auroville experience’. The above schedule is therefore tentative and may vary in details.